The Sunday Times reports that London, England has had a deadlier month of February than New York City for the first time in modern history due to a "dramatic surge in knife crime." In nearly word-for-word fashion from the current gun control debate in America, this has led some Brits to ponder whether the proper solution is a crackdown on knives. 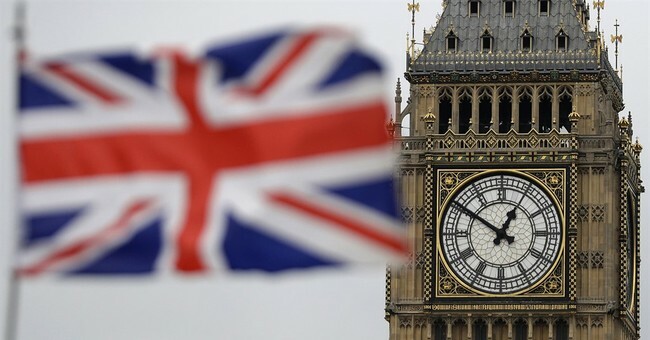 FBI data and studies by the late Eric Monkkonen, a researcher at the University of California, show that since 1800 London has had a murder rate per person of between half and a 20th of New York’s. Campus Reform's Cabot Phillips jokingly pointed out, perhaps it is time for some updated knife control legislation. But believe it or not, some in London are actually claiming that is the proper answer to stopping these murders. Patrick Green, CEO of anti-knife crime charity the Ben Kinsella Trust, fears the death toll “will get worse before it gets better”. “There is no sign of these murders finishing,” he said. “Some of them are linked to postcode wars or gangs, some of them are unprovoked. “There isn’t just one thing going on, which makes it really difficult coming up with a strategy to address it.” Mr Green warned that police operations can only contain knife crime in one area or displace it elsewhere. “It comes down to one simple thing, we’ve got to stop young people carrying knives in the first place,” he added. Gee, it is almost as if Mr. Green plagiarized his talking points from the March For Our Lives crowd and swapped out "guns" with the word "knives." So, what are they going to do? Ban everything except a butter knife? At first, the obvious answer is that if his plan did work and knives were gone forever, maybe the British would switch all eating utensils to those fancy plastic sporks with a serrated edge. At least that would have been a suggestion until a Google search shows that a website called LAPoliceGear.com, which sells weapon accessories and tactical gear, offers a fully semi-automatic version of that spork. Yikes. You cannot make this stuff up. Nevermind, Mr. Green. Ban all knives. Considering there is already pretty strict gun control in England in the first place, perhaps somebody should tell him - it is not the weapon that is the problem, but the intention of the person wielding it that matters.